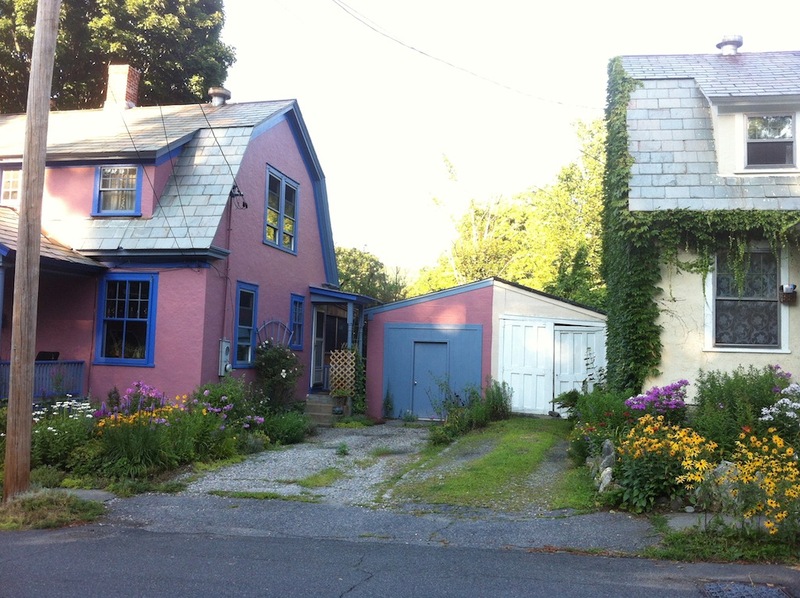 Fraternal twin houses on Blakeslee Street. 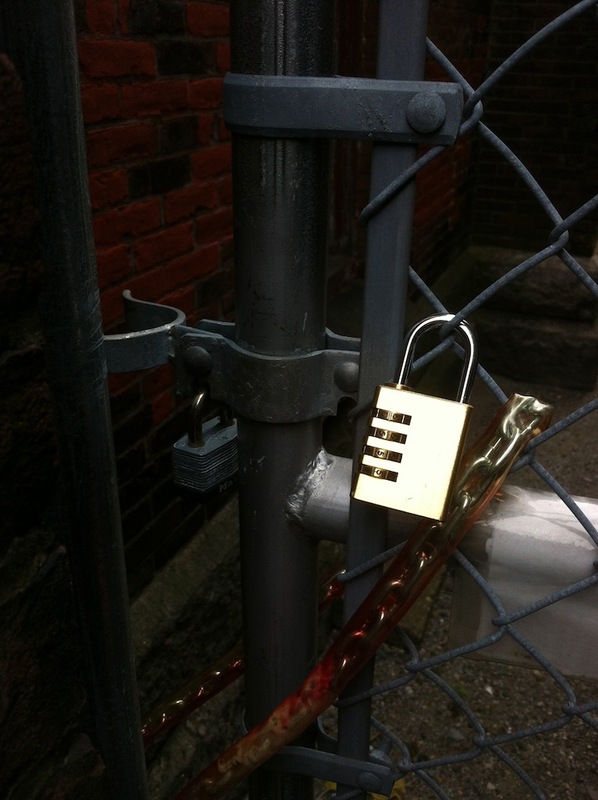 A brass padlock gathers all the sunlight from a dark alley behind the church. No entry.